The arm lift procedure is performed using intravenous sedation combined with local anesthesia while patients remain sleep during the procedure. 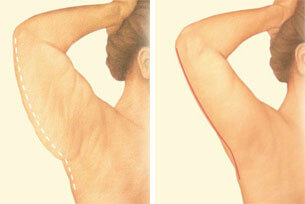 The goal of the arm lift (brachioplasty) is to reduce skin redundancy and to reduce the circumference of the arm. When there is good skin tone or minimal skin sagging, fat deposits can be reduced by liposuction. But marked skin redundancy or laxity can only be improved by surgery. The incision has to be placed in an axillar crease and in the internal aspect of the arm along a line extending from the axilla to the epicondyle of the elbow. Then a piece of skin-dermis and fat is removed and the subcutis and skin are closed using routine suturing. How should I prepare for arm lift surgery? Arm lift surgery may be performed in an accredited office-based surgical facility, ambulatory surgical center or a hospital. Be sure to arrange for someone to drive you to and from surgery, and to stay with you for at least the first night following surgery. Is performed using intravenous sedation combined with local anesthesia while patients remain sleep during the procedure. 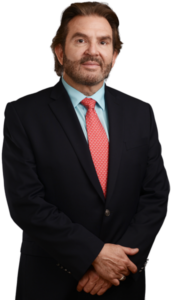 Dr. Ricardo Vega will recommend the best choice for you. 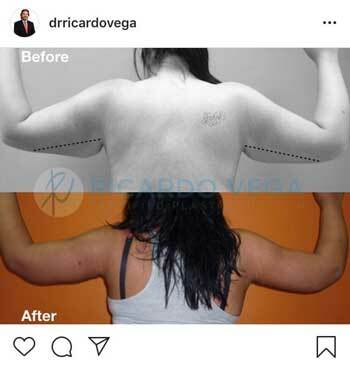 Incision length and pattern during arm lift surgery depend on the amount and location of excess skin to be removed, as well as the best judgment of Dr. Ricardo Vega. Incisions are generally placed on the inside of the arm or on the back of the arm, depending on Dr. Ricardo Vega’s preference, and may extend from the underarm (axilla) to just above the elbow. Excess fat may be directly excised or treated with liposuction. Your incisions will be closed either with absorbable sutures or stitches that will be removed within one to two weeks following your arm lift. 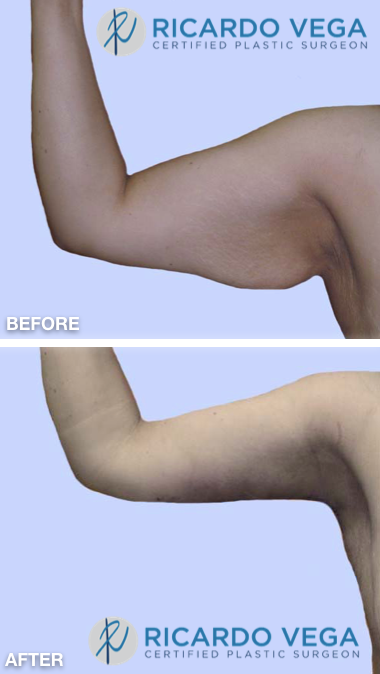 The smoother, tighter contours that result from brachioplasty are apparent almost immediately following your procedure, although there will likely be swelling and bruising. 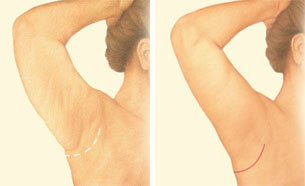 Get more information about arm lift surgery results. The healing process may take seven to ten days. An elastic bandage or compression garment may be recommended for several months. Good and stable results can be achieved in young patients with adiposities and good skin tone as well as in adults of older age, sometimes with the help of several months of postoperative elastic compression.